Even with a broken handle, I Love You. Wedding photography isn’t just about the people, it’s also about the little details that accompany them and I really enjoy finding the hidden treasures that await me when I shoot a wedding. Some of the best places to unearth these treasures are at the home of the bride or groom or their parent’s home. It’s could be a post-it note with a few sweet words stuck to the fridge or something that wouldn’t get a second look on any other day. The shot below was at Emily‘s parent’s Camberwell home where she was getting ready before her wedding. 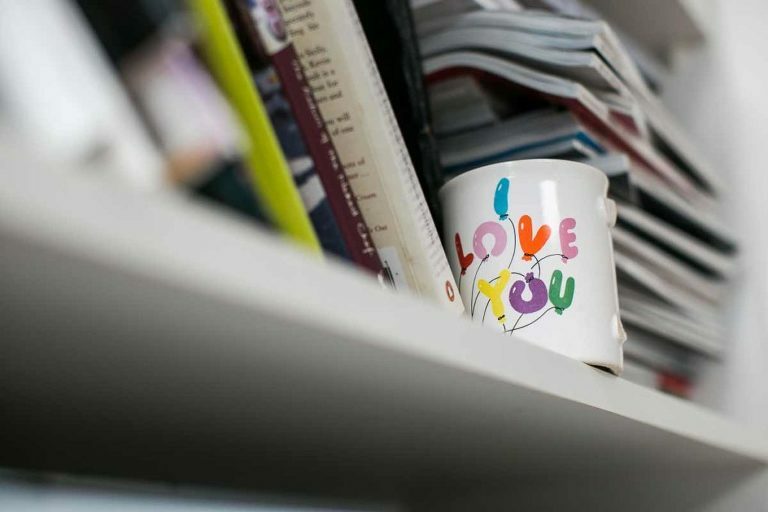 It may just be a mug that’s been placed on a high shelf months before; but with the wedding day in mind, it’s broken handle and the words ‘I Love You’ on the side, it seemed to have a little more significance than it might have done the week before. For me, it adds a little to the unfolding story of the wedding day. Are you looking for a candid and documentary style wedding photographer for your wedding? I’d love to chat about your plans – get in touch!